Why I'm suggested it: I read the scanlated manga and really enjoyed the story, and it's extremely similar to Walking My Second Path (which I also really love and I'm disappointed it hasn't been updated by the author recently). This story seems very similar to Second Path, with a cross-dressing heroine and a rather farcical comedy romance story. 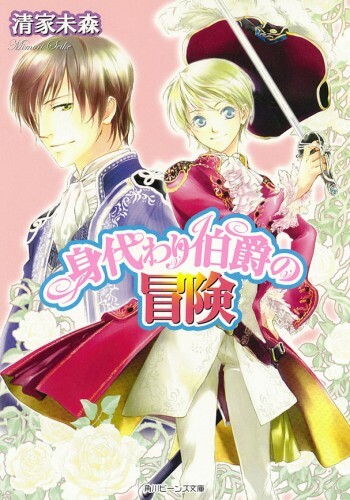 In this book, the heroine is a commoner cross-dressing as a nobleman, but like Second Path it has a cast of humorous secondary characters and a strong romance thread. I like that the story doesn't seem to take itself seriously. It does have a lot of volumes, but there are distinct arcs that are clearly indicated in the novel titles, so if the series doesn't sell well you could probably cut it off at the end of an arc. The manga was pretty nice, I would love to read the novel too!